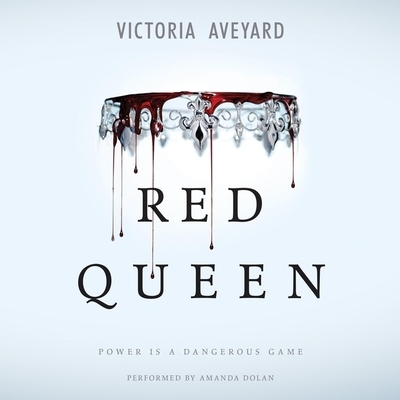 Red Queen, by #1 New York Times bestselling author Victoria Aveyard, is a sweeping tale of power, intrigue, and betrayal, perfect for fans of George R.R. Martin's Game of Thrones series. Mare Barrow's world is divided by blood--those with common, Red blood serve the Silver-blooded elite, who are gifted with superhuman abilities. Mare is a Red, scraping by as a thief in a poor, rural village, until a twist of fate throws her in front of the Silver court. Before the king, princes, and all the nobles, she discovers she has an ability of her own.To cover up this impossibility, the king forces her to play the role of a lost Silver princess and betroths her to one of his own sons. As Mare is drawn further into the Silver world, she risks everything and uses her new position to help the Scarlet Guard--a growing Red rebellion--even as her heart tugs her in an impossible direction. One wrong move can lead to her death, but in the dangerous game she plays, the only certainty is betrayal.